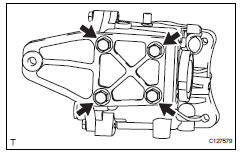 Install the differential support to the differential carrier with the 4 bolts. Install the differential no. 1 And no. 2 Supports with the 4 bolts to the differential carrier. 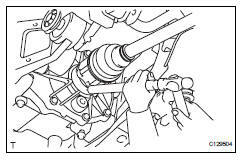 Determine whether or not the rear drive shaft is completely tapped in by checking for changes in sound or the reaction force of the brass bar. 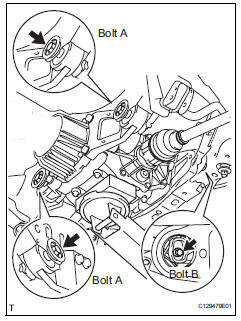 Install the member brace to the suspension member with the 2 bolts. 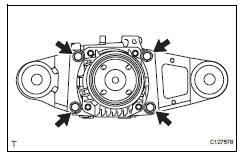 Add differential oil (see page df-3).